Other photos: Port Side, Port Bow, Starboard, Stern, Starboard Corner, Swim Platform, Walkway, Foredeck, Aft Deck, New Aft Deck Enclosure, New Aft Deck Enclosure, Aft Deck Wetbar, Aft Deck to Port, Aft Deck to Starboard, To Bridge, Bridge Covers, Helm, Helm 2, Helm to Port, Helm to Starboard, Bridge Seating, Bridge Table, Salon, Salon to Port, Salon to Starboard, High Low Dinette Table, Starboard Salon Facing Aft, Port Salon Facing Aft, Entertainment Center, Galley 1, Galley 2, Large Refrigerator and Freezer, Galley Sole w Storage, Third Stateroom, Single Berth, Forward VIP, Forward Berth, Forward Storage Locker, Forward Hanging Locker, Forward Shower, Forward Vanity, Master, Master to Starboard, Master to Port, Master Aft, Master Entertainment Center, Master Locker 1, Master Locker 2, Master Vanity, Master Shower, Washer/Dryer, Kohler Genset, Starboard Engine, Port Engine, Manufacturer Provided Image: 466 Motor Yacht. NEW AFT DECK ENCLOSURE - November 2018! While it may be hard to imagine a 46 foot Motor Yacht with the space of a 55 footer, once you take a tour of the Carver 466 you will believe! The 466 is a "Two-and-a-half" Stateroom Two Head design with a Salon that can only be described as massive! Both Staterooms feature Island Queen Berths, the "Half" Stateroom a Single. Both Heads also feature Stall Showers. Beautifully appointed with Cherry woodwork, solid surface counters, and large windows she feels open and bright, and much larger than she measures! This 466 is a One-Owner boat, and is in excellent condition! Powered by a pair of TAMD 74P Volvo Diesels, she features a 13 kW Kohler Generator, and a Bow Thruster. Inside her features include a Dishwasher, Washer/Dryer Combo, a Large Refrigerator and an equally Large Freezer! Maintained to extremely high standards, this 466 has excellent records and is ready for adventure! Please check our FULL SPECS for details and more information! SYS Yacht Sales is pleased to assist you in the purchase of this vessel. 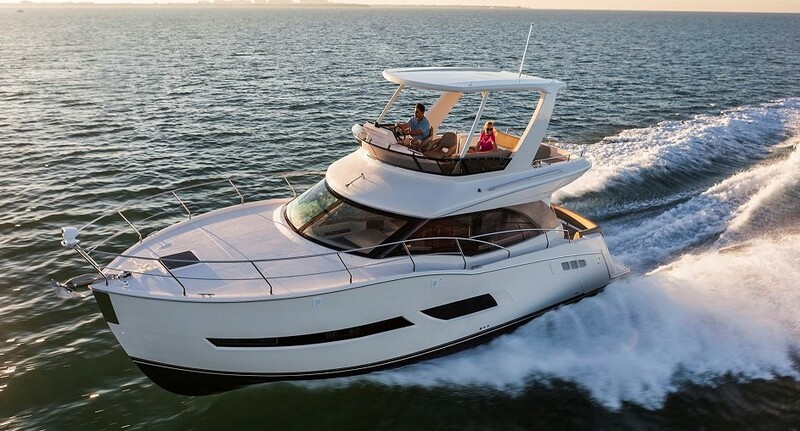 This boat is centrally listed by Intracoastal Yacht Sales.